What Parts of the Big Bang Do Scientists Dispute? William Lane Craig: Predetermined Conclusions on Adam? As I mentioned in the other thread, they for example reject the Big Bang theory, which despite it’s remarkable number of predictions and experimental tests/confirmations, they reject (or filter) the evidence through their Biblical filter. Seems there are some respectable scientists who either seriously question or reject some or all aspects of Big Bang theory, including Fred Hoyle, yes? I personally still scratch my head looking for more satisfying evidence for inflationary theory – but I’m not a scientist, so I will have to keep studying that one. Anyway, I do understand where your sentiment is coming from, but would also say we may need more openness to skepticism on all sides of these issues, whether it be skepticism of the science or of the theology. But I also don’t really fault devoted Christians for being careful and thoughtful, out of respect and reverence of our God, when it comes to challenging scriptural interpretation. Why do Scientists Believe in Dark Matter? Seems there are some respectable scientists who either seriously question or reject some or all aspects of Big Bang theory, including Fred Hoyle, yes? Fred Hoyle died in 2001. Just the Planck final results (2018) alone is enough to confirm the Big Bang to 1% precision in most parameters of the Lambda- CDM model of the universe. @dga471 chime in here please. The biggest (only?) reason Hoyle rejected Big Bang was because he considered it “Creationism in disguise”. Wait, no, he also had issues with Big Bang’s explanation of microwave background. Sorry. The discussion over inflation is not whether or not the Big Bang Theory itself is correct or not- that is the model that describes how the universe evolved starting ~10^-15 seconds after its apparent beginning and includes successful observations/predictions of things like nucleosynthesis, the cosmic microwave background, large scale structure of galaxies, etc. If you want to see a YEC cosmologist writing on Georges Lemaitre, here’s John Hartnett who calls the theory a pagan one that also could be part of a secret Jesuit plot. Not sacred at all. But a well tested idea that makes many predictions that we found (all but the cosmic neutrino background and cosmologists are still working on detecting the 21 cm hydrogen line from the first stars being produced). I want to separate the model from inflation which, if you’re Sean Carroll, you rate at just above 50% chance of being right. Understandable then if you personally are looking for more satisfying evidence for inflation as so are cosmologists! Reading the Planck final results that you mentioned, I see that they have measured 5 of the 6 parameters of the Lambda-CDM to at least 1% precision (see page 18 of the paper), which is probably what you meant. However, that’s not exactly the same as a test of Lambda-CDM to 1% right? That would only be the case if Lambda-CDM can calculate and predict these values from first principles and they found that they match up to observation. But while I’m sure the ability to measure the parameters to such high precision depends on part on the effectiveness of the model, the precision is more a vindication of the observational power of the Planck spacecraft than of the theory. Am I right, @PdotdQ? @dga471 got it right. Just because I can fit my datapoints with 13 parameters to 1% precision does not mean that the data cannot be fit by 13 other parameters. I will take this opportunity to share some causes of concerns for Lambda-CDM. These issues are not deal-breakers in the sense that there might be a way to reconcile them with LCDM, but notably all of these issues can be dealt with by modifying LCDM. This is what I meant when I said previously that most astronomers (including myself) believe in LCDM with a little bit of modifications. CDM predicts that galactic centers have densities that rise sharply - in contrast to observational evidence. Recently, McGaugh et al. 's paper which we discussed previously in this forum suggests that either there is no dark matter or that there is a coupling between dark matter and baryonic (normal) matter. This is in violation of LCDM. Recently, the EDGES experiment that aims to detect neutral hydrogen in the cosmological scale produces a controversial finding that either there is an extra source of cooling of hydrogen gas or there is an extra source of low frequency photons than the Cosmic Microwave Background. Both of these can be solved by coupling the dark matter with either baryons (normal matter) or electromagnetic fields (~photons). These are in violation of LCDM. It is extremely unlikely for inflation to produce our observable Universe - this requires very specific initial conditions that probability-wise is exponentially suppressed. In light of quantum mechanics, inflation produces a multiverse resulting in the theory becoming unfalsifiable. The common adage is “anything can happen and will happen an infinite number of times". Comically, this is considered a problem by some and a feature by others. A small historical correction: Georges Lemaitre did not fiddle with the Friedmann equations. Instead he independently reproduced it. Just the Planck final results (2018) alone is enough to confirm the Big Bang to 1% precision in most parameters of the Lambda- CDM model of the universe. @dga471 chime in here please. You are correct that the Big Bang and the Lambda-CDM is the dominant model among cosmologists today. That being said, I think it’s like the Standard Model of particle physics, where it has explained a lot of things but also left some others like dark matter and dark energy unexplained. Sorry @dga471, your post is out of order because I missed it in the sweep. Reading the Planck final results that you mentioned, I see that they have measured 5 of the 6 parameters of the Lambda-CDM to at least 1% precision (see page 18 of the paper), which is probably what you meant. However, that’s not exactly the same as a test of Lambda-CDM to 1% right? That would only be the case if Lambda-CDM can calculate and predict these values from first principles and they found that they match up to observation. It helps to look at the data itself. Though there are six or so parameters, the precise shape of the CMB spectrum is predicted. See all the bumps on the curve? They are defined by the equation and the parameters. There are a large number of six parameter equations that would not perfectly fit this data. The fact that this equation does, and is derived from theory, is notable. I’m not 100% sure on this, but it appears to perfectly fit 7 bumps in the observations, including their height, width, baseline, and position (at least 28 pseudo-observations), with just about six parameters. That means something. It is highly unlikely to happen if there was not some truth of a sort behind lambda-CDM. The 1% accuracy in the parameters is really a side point. The bigger finding is that this theory derived equation can fit a very complex curve, when most other equation would not. ust because I can fit my datapoints with 13 parameters to 1% precision does not mean that the data cannot be fit by 13 other parameters. 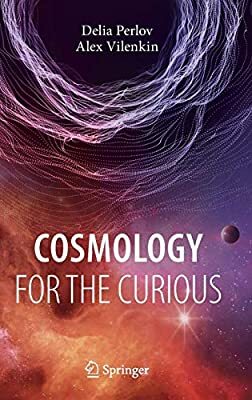 This is excellent insight into what is happening at the cutting edge of cosmological knowledge. Thank you! Indeed, this is the big evidence that convinces most astrophysicists of LCDM. This however, does not mean that LCDM is 100% correct! As I detailed in my previous post, there are issues with LCDM, enough that astrophysicists are convinced that while LCDM is correct in broad strokes, it might require some modifications to fit all the details. Note that most of the issues with CDM that I raised in my previous post comes at smaller size scales, where Planck and other CMB experiments are effectively blind. Note that 1), 2), and 3) are incompatible with each other. If LCDM is right, then the Standard Model is wrong, if MOND is right, then LCDM is wrong, etc. Excuse me, but can you just clarify what LDCM stands for? Lambda Cold Dark Matter model, which predicts the baryon acoustic oscillations (BAO) that give rise to the bumps in the CMB spectrum. It must be partly the moment we are in. Internet and all? That’s pretty much how I know things about history, I get curious about it and then research. Because Lord knows I didn’t learn anything in classroom. English too. Here is my completely non-scientific answer based on anecdotal evidence: religious scientists usually have broader knowledge. This is because religion gives a philosophical impetus to learn things that are beyond their subjects. A religious biologist would be hard pressed to ignore cosmology as questions of cosmology might be pertinent to their religious views. Further, their training as a scientist would permit them a more-than-cursory glance at this subject-outside-of-their-expertise. Of course, religion is not the only source of such philosophical impetus - in my experience, however, it seems to be the most common one. Do you really have to quote all that just to say “Me too”? As I understand it there are no strong theoretical constraints on these parameters. They are essentially free. We can measure them, but the values themselves are what makes CDM successful. It is the fit of the curve. That seems to be a place were emergent and superfluid gravity might make their case. If they can correctly derive from first principles any of these measured parameters, or relationships between them, it would be a very important development in a models favor. The fact that this would be retrospective does not not necessarily diminish its value. Perhaps also there might be corroborating predictions it would make in other domains that would be prospective. That seems to be the hard but possibly fruitful way forward.